What does Victoire mean, details, origin, short & easy attributes? Victoire pronunciation in 20 different native languages. Gender: F Pronunciation: vic-TWA Meaning of Victoire: "victory" Origin of Victoire: French. Victoire is baby girl name mainly popular in Christian religion and its main origin is . Victoire name meanings is Victory. Other similar sounding names can be Victoria. Each letter meanings in Victoire Name. Popular personalities with Victoire Name. Victoire Thivisol is an actress. She has had major accomplishments since 1996. Victoire was born on July 6th, 1991 in France. She holds the title Lady Hanmer. Victoire was given the name Victoria Maria Louisa Conroy on August 12th, 1819. She passed away on February 9th, 1866. Victoire was born in 1962. Victoire was born on October 3rd, 1968. Rosine was given the name Victoire or Victorine Noel on January 13th, 1815. Rosine is also known as Noel, Victoire, and Victorine. She left this life on July 30th, 1903. 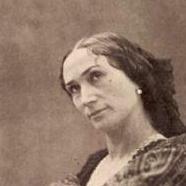 Madame Victoire was royalty. She holds the title Fille de France. 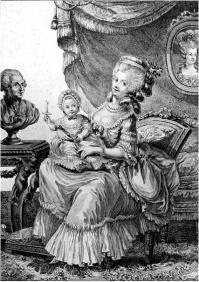 Madame was born as the child of Louis XV of France and Marie LeszczyYska on May 11th, 1733 in Palace of Versailles, France. She died on June 7th, 1799. She holds the title Countess of Toulouse and Marchioness of Gondrin. Marie was born as the child of Anne Jules de Noailles on May 6th, 1688 in Palace of Versailles. She breathed her last breath on September 30th, 1766. Her most notable accomplishments were from 22 to 1761. Princess was born as the child of Leopold Philippe d'Arenberg on October 26th, 1714 in Brussels. She left this life on April 13th, 1793. Lionel Victoire is an athlete for the Aiglon du Lamentin. Vivian Victoire is a sports team member for the AS de Vacoas-Phoenix. Other Personalities with Victoire Name.